Early Monday morning Eve and I headed over the hill to Santa Monica for a "Preferred Customer Closing Sale" at the shop Paris 1900. We had been tipped about the closing of the store by Eve's grandmother Marilyn, who had met the owner Susan Lieberman through the Eames office in the 1950's. 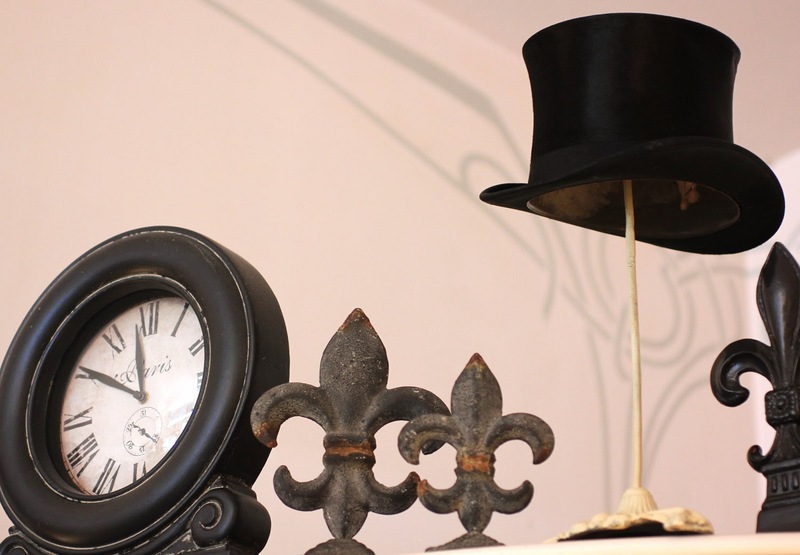 Paris 1900 is deemed a home of "romantic refinery" with vintage and era inspired pieces that cater to brides, collectors and romantics. 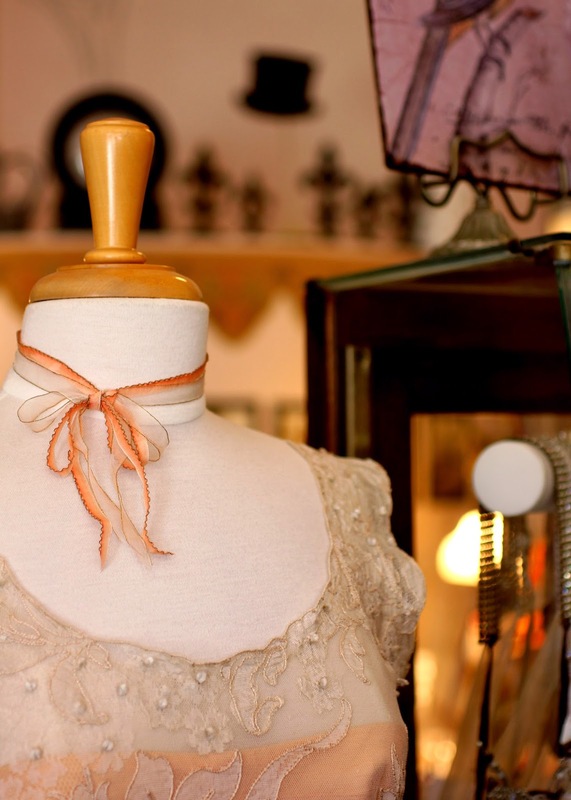 Beautiful, antique lace dresses share a space with a plethora of trims, hats, jewelry, table linens and many odds and ends including early Vogue magazines. My intention in going to the sale was to find items for the new space, in particular furniture that could be used in the lab or showroom area of the perfumery. Susan has decided to close Paris 1900 and focus on her secondary shop next store titled jAdis. From now through June 17th the contents of the shop and fixtures, as well as her 40 year personal collection of vintage treasures are on sale for the first time. 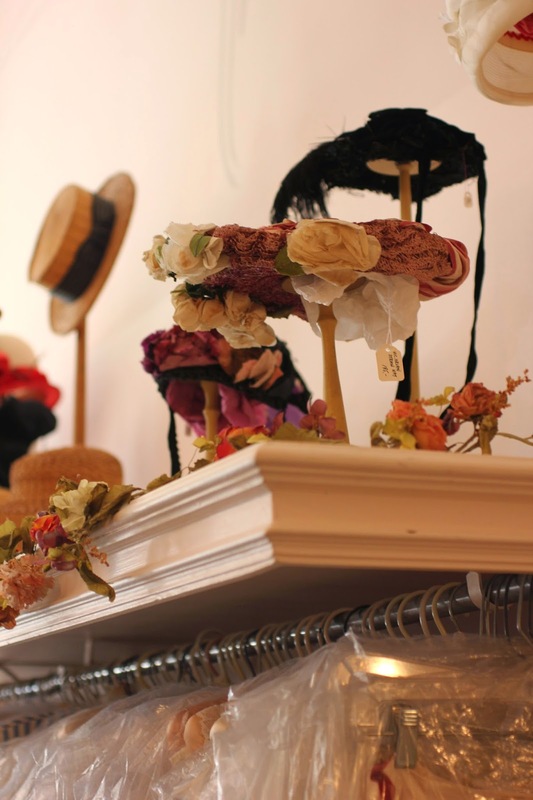 These include laces, ribbons, millinery trims, buttons, fabrics, linens, lace trimmed hankies, hats and hat boxes, vintage clothing and jewelry, among others. She will also be parting with her rare collection of period mannequins, paintings, showcases, and other display items. While there I learned that Susan met her late husband Park Meeker while working as a receptionist at the Eames office. Park was one of those multi talented individuals, like John Neuhart, who worked with Charles Eames in a variety of departments. His passion for collecting combined with his skill set as an engineer and carpenter resulted in the shop jAdis next to Paris1900. Eve and I had a personal tour of the glorious prop-shop meets cabinet of curiosity named jAdis. 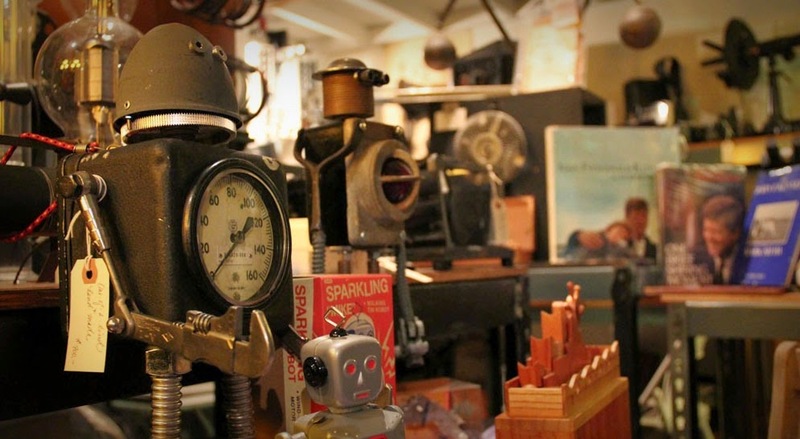 The museum-like space is an absolute wonder filled with props used in films, early optics, photographica, electrical and scientific advancements, aviation and planetary models, steampunk widgets, gears as well as lab equipment that has me drooling. Here's a short vimeo film of Parke before he passed to the other side. Paris 1900 photographs by Roxana, Jadis shop image from their website.